Francisco Pichardo experienced some firsts in April 1990 at Kenosha. It was his first time at single-A in his third professional season. The native of the Dominican Republic playing in Wisconsin also saw his first snowfall, according to The Antioch News. Those firsts, though, ended up being brief. The snow was soon gone and Pichardo was soon back in rookie ball. His career was also soon over, lasting three seasons. 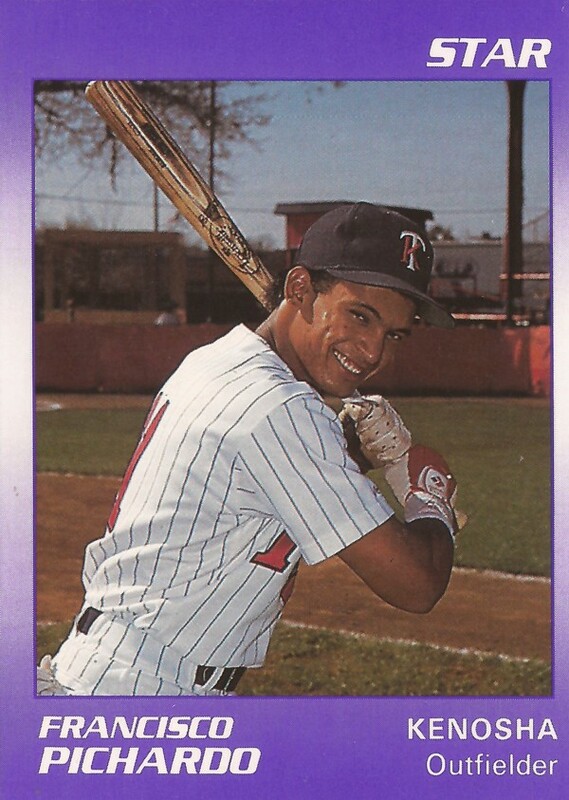 Pichardo's career began in 1988, signed by the Twins as a 17-year-old free agent out of the Dominican Republic. Pichardo played his first season at rookie Elizabethton. He got into 18 games and hit .140. He played 1989 between Elizabethton and the rookie Gulf Coast League. He got 43 games between them. He also improved his average to .248. Pichardo saw the most playing time yet in 1990, 78 games. He started the year at Kenosha, getting 45 games there. But the outfielder hit just .188. Moving back to Elizabethton, Pichardo got into 33 games and hit .229. Pichardo was 19 years old in that third pro season. That was also his final pro season. He is not recorded as playing in his 20s.